Seaford, New York, is a community of about 14,000 residents in Nassau County. 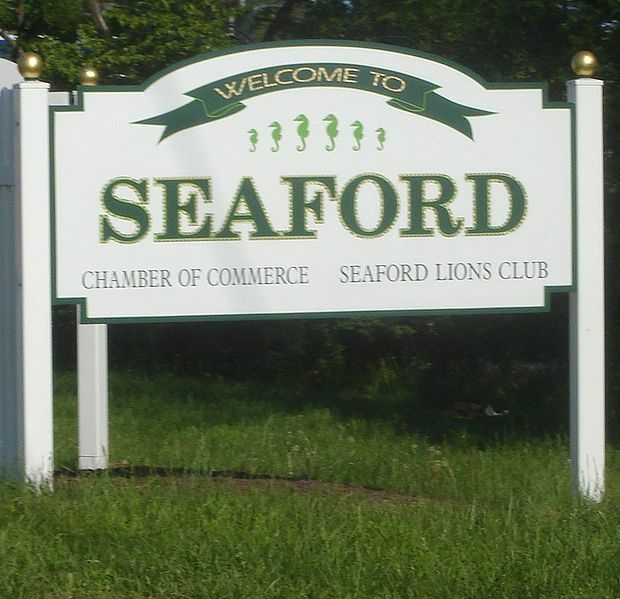 Seaford is situated on the Atlantic coast along the southern shore of Long Island. The area in which Seaford now resides was called the "Great Water Land" by the Marsapeaques, a Native American tribe that once lived here. The community was known as Seaman's Neck for a time, in honor of Capt. John Seaman, who first obtained rights to land in the area. Seaman himself initially named the town Jerusalem South. Ultimately, in 1868, the community was named Seaford to pay homage to Capt. Seaman's hometown in East Sussex, England. The arrival of the Long Island Railroad in the 19th century stimulated growth in many communities, but Seaford remained a relatively quiet agrarian area. Because of this, Seaford eventually gained popularity as a summer retreat for New Yorkers. The construction of the Sunrise Highway in 1929 resulted in substantial growth. In fact, the population of the community tripled by the early 1950s. Residents with Seaford NY homes can enjoy a substantial park on the south side of town. Cedar Creek Park offers modern playground facilities and numerous athletic fields. 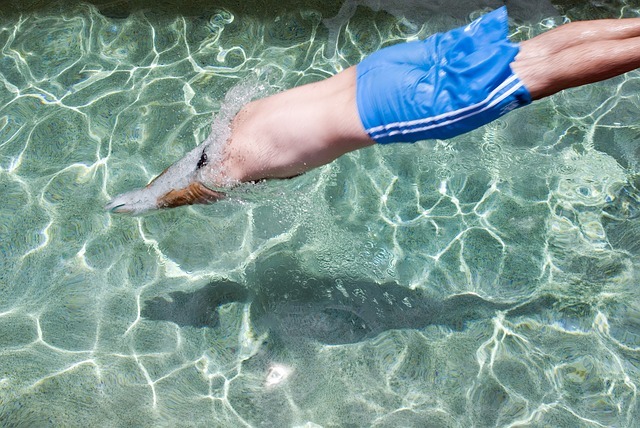 Those that invest in Seaford real estate enjoy easy access to one of the most outstanding swimming facilities in the country. The Nassau County Aquatic Center was originally constructed for the 1998 International Goodwill Games. The 80,000 sq-ft center includes a 68-meter "stretch" pool that features three movable bulkheads. The facility also includes the only 10-meter competition diving tower in the metropolitan New York area. Areas are also provided for those in Seaford homes to enjoy water exercising, therapeutic swimming and water walking. Finally, the facility also offers members a state-of-the-art fitness center. Just to the south of Seaford one finds the largest public beach on earth. Jones Beach State Park includes over six miles uninterrupted ocean beachfront. Strollers and hikers enjoy the Jones Beach boardwalk that stretches for over two miles. The park also offers deck games, basketball courts and two outdoor pools. Many residents come to the band shell for summer concerts and even social dancing. Anglers can surf cast or fish from the piers. The Seaford Summer Festival is held every year at the end of August or early September. Residents enjoy arts and crafts booths and a great selection of seafood and other dishes. Jones Beach State Park hosts a number of annual events, including the Memorial Day Air Show and the Fourth of July fireworks. The Jones Beach Nikon Amphitheater hosts concerts throughout the summer. Rely on a capable Seaford real estate agent to familiarize yourself with where the best values are in Seaford NY real estate. The Seaford homes for sale range from quaint bungalows to million dollar waterfront Seaford properties. A prospective Seaford home buyer can save time by working closely with a Seaford realtor when looking at residential real estate in Seaford. There are both new and historic homes for sale in Seaford. There Are A Lot Of Trees In The Forest But This Pine Is Unique!!!. 3200 Sq Feet Of Living Space. Large 2 Story Foyer. Large E Ik W/Granite & Ss. 2 Massive Living Rooms. Formal Dining Room. Master Suite W/Full Bath & Walk In Closets. 5 Massive Bedrooms. 3 Additional Full Baths. Paver Driveway. Too Much To List!!! This gorgeously renovated 2226 sq ft four bedroom, three full bath colonial located in Seaford, Long Island sits on a well manicured 6000 sq ft lot and features a large front porch, radiant heat hardwood floors, crown moldings, granite counter tops, lots of windows, an abundance of closet space, a gym, cathedral ceilings, central air, a charming backyard, and much more! Pride of Ownership Abounds This Impeccably Renovated Spacious 4 Bedroom Splanch Featuring: Eat-In-Kitchen W/Granite Counter Tops And Stainless Steel Appliances, Living Room W/Vaulted Ceiling, New Heating System, Roof, Anderson Windows, Central-Air, Wood Burning Fireplace In Den, Hardwood Floors and Porcelain Tile Throughout, Updated Bathrooms, 200 Amp Electric, Stunning Backyard Perfect for Entertaining and More. Zone AE. Located on a Quiet Mid-Block Location. Just Unpack Your Bags!! Welcome to this charming 4 bedroom home that offers a great room with wood burning fireplace & brazilian hardwood floors! This home features updated gourmet kitchen w/granite counters & SS appliances, new carrara marble bath, second floor new bath, andersen windows, gas boiler, brand new architectural roof, 150 Amp service, garage attic w/pull down stairs, deck off great room to lovely yard with 6 zone sprinkler system! All this & more in Seaford Manor with Seaford schools! 1 St Floor: Family Room, Full Bath, Garage. 2nd Floor: 3 Br, 2 Full Bath, Lr, Dr, Kitchen.